Skipper Electricals India Limited was awarded the “Jewel of India” Award for its outstanding achievements and contribution in its field of activities. International Business Council is a non Govt. society that honours select people and organizations who have taken lead in contemporary business systems, services and quality achievements. Heartiest congratulations to SEIL for receiving this prestigious award. Skipper organized an interactive Professional Development Workshop on Corporate Soft Skills for its high-potential executives from all overseas Group Companies, on the 10th October, 2014 in its Dubai Office. The workshop was conducted by Ms. Drew Gordon from Eton Institute, Dubai. The workshop covered topics such as Business Etiquette, Body Language, Group Dynamism and Interpersonal Relations. The trainer also conducted a self-analysis at the end of the workshop and gave individual advice on developing leadership and communication skills. The workshop was well-received and got excellent feedback from all attendees, especially on the counts of relevance, practicality and daily application. 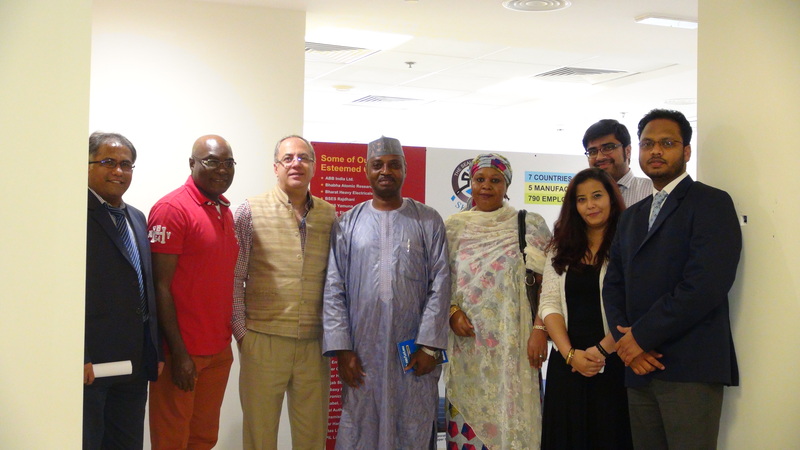 Skipper was proud to welcome the joint power houses of the Nigerian Power Sector to Skipper Corporate Headquarters in Dubai on 25th June 2014. Mr. James Abiodan Olotu, Managing Director, Niger Delta Power Holding Company (National Integrated Power Projects) and Dr. (Engr.) Abubaker Tambuwal Atiku, Deputy Managing Director, Transmission Company of Nigeria. Skipper has recently successfully completed a contract for NIPP entailing production and delivery of 9 distribution substations and associated 33kV / 11kV lines across a wide area of coverage in Lagos – Ikeja distribution zone. Mr. Olotu congratulated Skipper for a wonderful business relationship which has culminated in added value for Nigeria’s infrastructure. He added that Skipper has become a blueprint for success in the power and infrastructure industry in Nigeria and an ideal role model for older and newer players in the highly competitive African market. He appreciated Skipper’s efforts to train and develop Nigerian youth in the power industry and contribute to human capacity development in Nigeria. Dr. (Engr.) Atiku praised Skipper’s product delivery and project execution methodology and expressed confidence in Skipper products with respect to exceptional value for money and durability. He thanked Skipper for being an active participant in the changing landscape of Nigeria and invited Skipper to participate in more transmission projects in Nigeria in the near future.